Charles W. Whipple was born in Fort Wayne, Indiana, in 1805. His father was Major John Whipple, who was an officer during the War of 1812 and served under Mad Anthony Wayne. During that war, John Whipple was hunted by British authorities who suspected he was in Detroit. For 13 months during the British occupation of the city, John Whipple lived in the cellar of the family’s home. The trap door was covered by furniture, and not even the children knew their father was there until his son Charles discovered him. Charles’ mother cautioned him to keep his father’s whereabouts a secret or their lives would be in jeopardy. Although Whipple was a gifted student, his family could not afford to send him to college in the east. As a result, he attended a private school in Detroit and took Latin lessons. Whipple secured admission to West Point and graduated from the institution. When he returned from West Point, he began studying law in the office of Alex D. Frazer and did so for four years. He then began to practice law in Detroit. Whipple’s public service began following his admittance to the Bar. Whipple was Master in Chancery from 1828 to 1834, and a Representative to the State Legislature from 1835 until 1837. 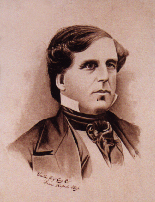 During the Constitutional Convention of 1835, Whipple was the principal Secretary. In 1839, he served as a school inspector and joined the Michigan Supreme Court in 1839. Whipple served the Court until 1855 and was Chief Justice from 1848 until 1851. Following his work with the Michigan Supreme Court, he moved to Pontiac and served as a Circuit Judge of the Oakland circuit. In addition, he was a delegate from Berrien County to the Constitutional Convention in 1850. Whipple also served for many years as an examiner at West Point.